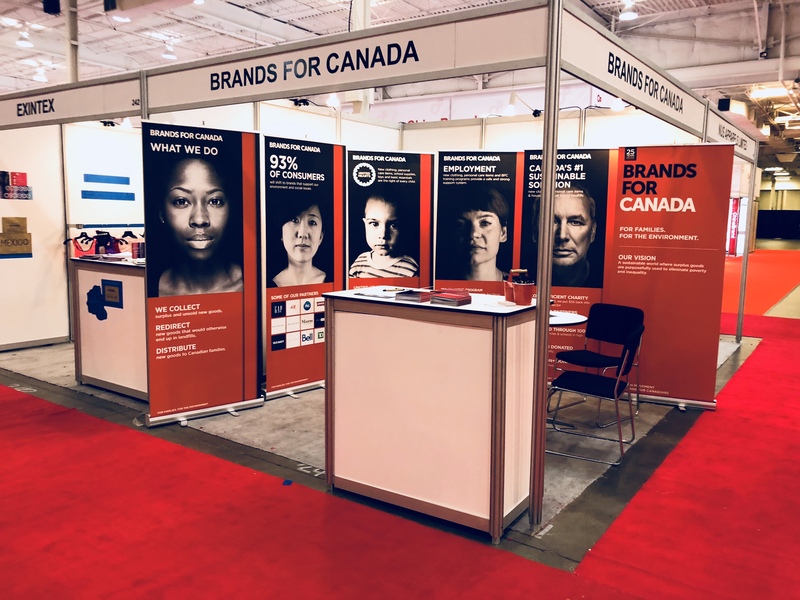 Last week we were at the Apparel Textile Show in Toronto at the International Centre. We had a great time meeting new contacts and sharing our story with attendees. Our very own Helen Harakas and Bob Kirke, Executive Director of the Canadian Apparel Federation and our newest board member. One of our favourite parts was the presentation of a special plaque to key companies and organizers and the ATS show donating an ocean container of goods to Brands For Canada. Thank you! 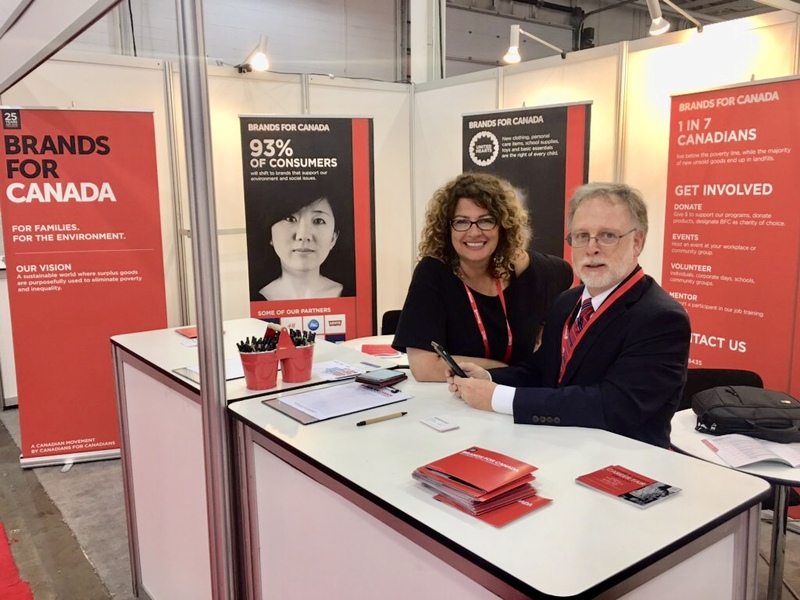 We made lots of new connections with potential donors, volunteers, supporters, manufacturers, retail, colleges, universities, designers, associations, and the general. It was a great event and we look forward to next year! Learn more about ATS Miami and Toronto by visiting their website or following their Instagram, @apparel_textile_sourcing.